The Grinch will take over Universal Orlando’s new official Facebook page to answer guests’ questions live this afternoon. 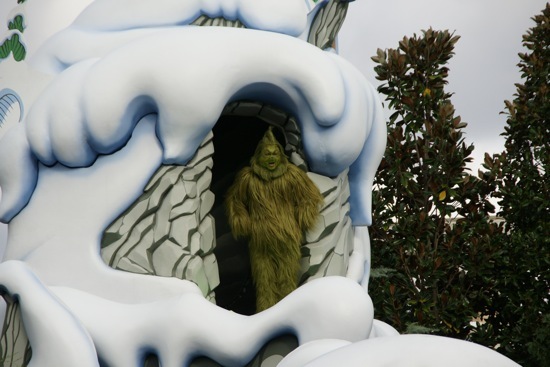 The star of Dr. Seuss’s “How The Grinch Stole Christmas” will interact with fans and give them a humorous glimpse into the entertainment they can expect at Grinchmas – a live stage show at Universal’s Islands of Adventure that brings the classic story to life. Ever wondered what it’s like to have a heart two sizes too small? Need advice on what to give your loved ones this holiday season? Curious about the weather in Whoville? Here’s your chance to get answers from The Grinch himself. Fans are encouraged to visit facebook.com/UniversalOrlandoResort and post their questions from 3 to 3:30 p.m. eastern time today, Friday, Dec. 18, 2009. To help you come up with some questions, here are some videos featuring the mean green guy. The Grinch getting ready for one of his many Grinchmas performances at Universal’s Islands of Adventure. Some scenes from a Grinchmas show in 2007. Grinchmas performed without makeup during a Mannheim Steamroller concert at Universal Studios in 2008. Universal Orlando has just launched an official fan page on Facebook for their Halloween Horror Nights event. 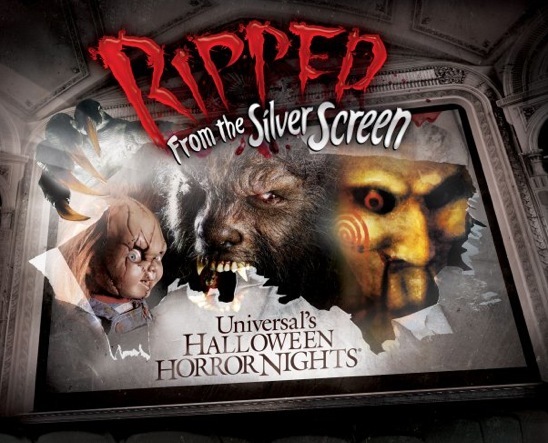 They’ve promised their Facebook fans frequent updates and exclusive details about this year’s event, Halloween Horror Nights 19: Ripped From the Silver Screen. Fans will be able to participate in live Halloween Horror Nights Q&A sessions on the page with Universal Orlando’s entertainment team throughout the event. For the first session, fan questions posted between 3 and 3:30 p.m. this Thursday, Aug. 27 will be answered by Michael Roddy, manager of show development for Universal Orlando Entertainment. (You can see the teaser video Roddy recorded for us below.) Fans are encouraged to leave their questions on the Halloween Horror Nights Facebook page during that time for Roddy to answer. Universal Orlando is taking social media to another level with the creation of “rock legend” Syd Vinyl. The character of Syd, “one of the most famous death metal cyper punk fusion stars of the ’80s,” has been consulting with Universal on their upcoming Hollywood Rip Ride Rockit roller coaster. Syd even has his own Facebook and Twitter accounts. It seems Universal team members and their friends have been busy. Syd has been Tweeting since June 17 and has more than 50 followers. 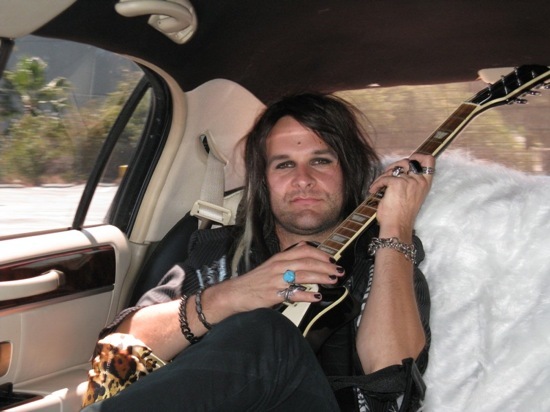 His Facebook account already has more than 250 fans. Here’s a video of Syd in the back of his limo. You can read more about Syd Vinyl and the Hollywood Rip Ride Rockit coaster at www.hollywoodripriderockit.com.